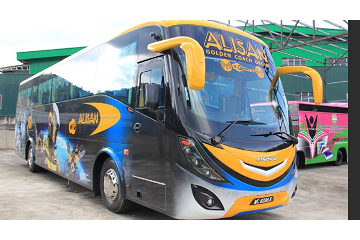 Alisan Golden Coach Express is a well-known express bus operator that offers long distance bus services to all passengers and travellers across Malaysia, Thailand and Singapore. With their variety types of coaches that cater to different parts of destinations, passengers will indeed enjoy a comfortable ride. 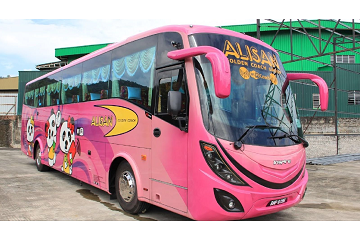 Alisan Golden Coach Express offers daily bus routes from Thailand to Malaysia. The routes include buses depart from Hatyai or Danok to Terminal Bersepadu Selatan, Kepong, Hentian Duta and Johor Bahru Larkin Terminal. 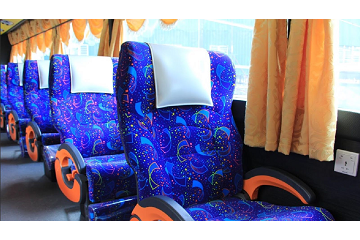 Besides, Golden Coach (Alisan) also offers bus routes from capital city of Malaysia, Kuala Lumpur to Bukit Kayu Hitam, Changlun, Danok and Hatyai. It also provides daily bus routes from Changlun to Hentian Duta, Kepong, Terminal Bersepadu Selatan and Johor Bahru Larkin Terminal. 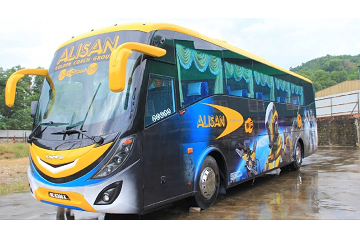 Alisan Golden Coach Express delivers quality bus service at an attractive price. The bus ticket from Changlun to Kuala Lumpur costs RM 65 per person while the bus ticket from Changlun to Johor costs RM 85 per person. On top of that, the bus ticket from Kuala Lumpur to Kedah or Thailand only cost RM 60 per person. The buses offered by Alisan Golden Coach Express are in Single deck and double deck. All of the buses are equipped with air-conditioning and comfortable seats to ensure passengers’ comfort while travelling in the long journeys. Besides, some of the buses are also equipped with facilities such as wifi service, charging port and on-board television. Book Alisan Golden Coach Express bus ticket now at Easybook.com. Lot G21, Ground Floor, Kompleks Desa, Kepong, 52100 Kuala Lumpur. 25 Chee Uthit Road, Hatyai, Songkhla, 90110 Thailand. 01-73A, City Plaza 810 Geylang Road, Singapore 409286. 2315A 1st Floor, School lane, Jinjang Utara, 52000 Kuala Lumpur.